Do YOU want to stay just 3 MINUTES walk from Old Market, Pub Street, Night Market & experience the Inspiring Services by local brothers? 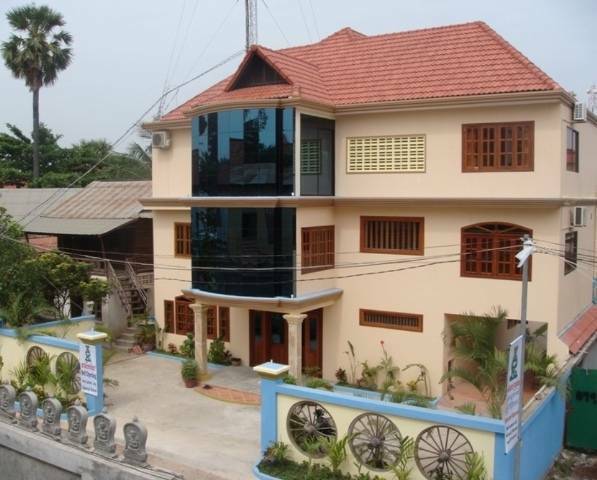 Prohm Roth Guesthouse & Tours is your best choice for an enjoyable, peaceful stay & visit in Siem Reap Angkor Wat. Their small guesthouse is conveniently & centrally located in the heart, soul of Siem Reap town, north of the beautiful Wat Prohm Roth. Meet the local family & be their friends! * Confirm your trip details for FREE Pick Up! Welcome with a huge SMILE! + Meang and his team will ensure you a memorable & relaxing time at the guesthouse and discovering the great ancient temples with his team of drivers. A sweet touch of Priceless Khmer hospitality! We are "HIGHLY RECOMMENDED" by WikiTravel Siem Reap travel guide! FREE: pick up, tea/coffee, WiFi internet, bottle water daily, cold towel upon check in. Our Guesthouse is serviced with spacious lobby, common sitting area on 1st floor. All our clean and neat rooms equipped with western toilets, toiletries, A/C, ceiling fan, reading light, hot shower, fridge & cable TV. WikiTravel "Highly Recommended" us! Located on Pub Street extension: where you can dine all day long - dance/bar hopping all night long; Old Market & Angkor Night Market: where you can shop & dine from 9am and mid night. BOOK NOW to grab 10% discount! Big discounts for long terms stay n big groups! Online payment is not available at the moment. Guests can pay on their arrival/check in. However, we would like to request guests' flight details/itinerary for us to properly confirm of rooms available for them. If no-show, guests are bound to payment and policies of Instantworldbooking (IWB). Remork (Tuk Tuk), car, van, bus, 10 minutes from city's bus station and Siem Reap international airport. 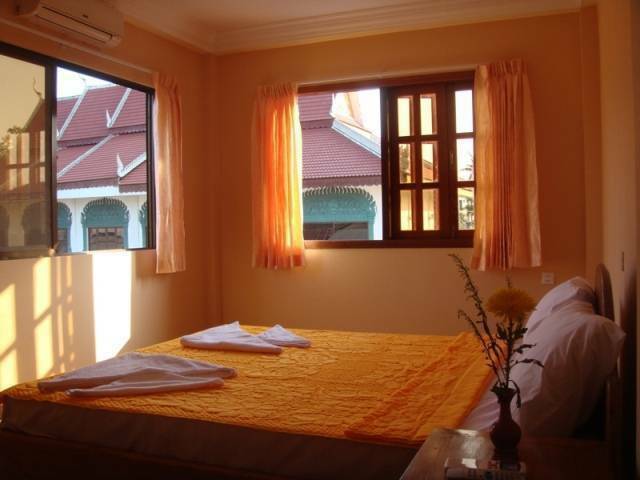 Nearest airport: 8 km from Siem Reap International Airport.